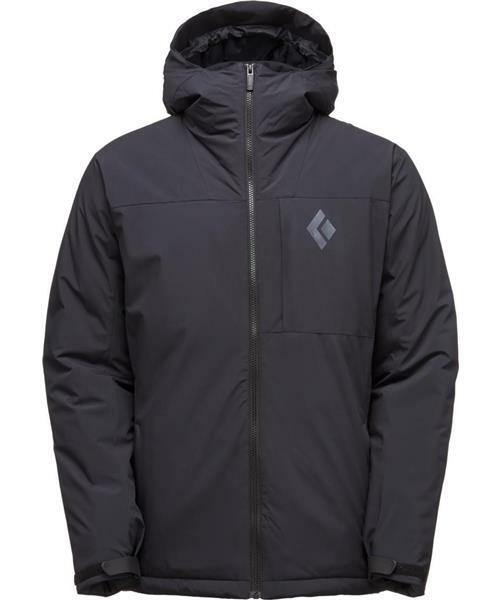 Designed to beat back wet winter conditions whether you’re on the chairlift or the skin track, the Black Diamond Pursuit Hoody features waterproof shell fabric to protect against snow and mixed precip, as well as ThermoLite® synthetic insulation that provides reliable warmth even when wet. A ski helmet-compatible hood, removable, zip-out powder skirt and single-pull cord adjust on the hood and hem help seal out deep snow and foul conditions. Two hand pockets, one chest pocket and two skin-compatible internal drop pockets secure all your essentials for in-bounds laps or backcountry missions.